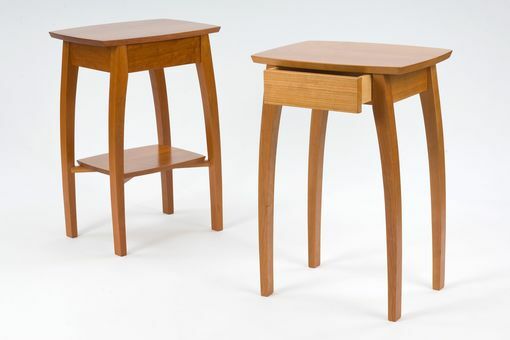 These bedside tables provide useful storage and beautiful lines. 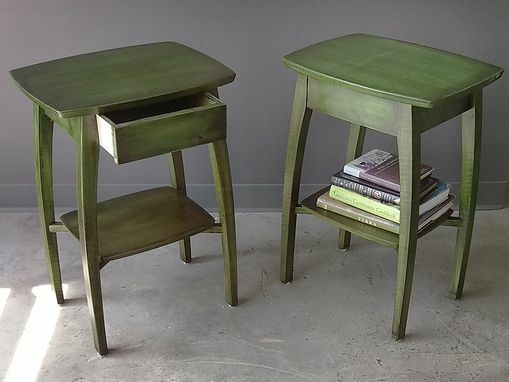 Dovetailed drawers hold essentials while a low shelf helps to organize nighttime reading. 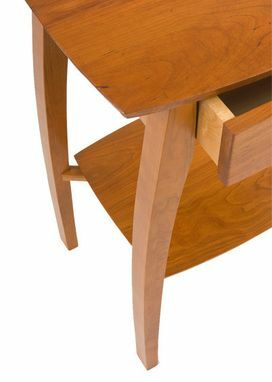 My furniture line features solid woods throughout with strong, epoxy bonded mortise and tenon joinery. 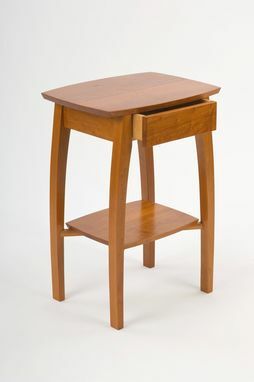 This allows the pieces to stand up for a lifetime in heavy traffic areas. They will not develop the wobble or creaking many of us are familiar with. I source my woods locally, choosing only native New England species. Each space is different and it can be overwhelming to decide on a style for furniture. I have listed the wood types I use and their qualities as well as color. I'll be happy to answer questions on furniture sizing and styles. Every maker has a story. Be a part of George Beland Furniture's story by placing an order, leaving a review, and seeing your review appear here.